nj arts maven: This week only! “Eric Walton: Mentalist” live in Hoboken! This week only! 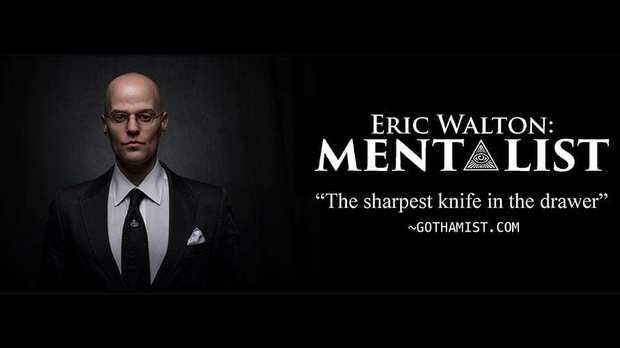 “Eric Walton: Mentalist” live in Hoboken! A theatrical foray into the realms of parapsychology, metaphysics, and the paranormal, in which the award-winning and critically-acclaimed mentalist and showman Eric Walton reads minds, identifies hidden objects and predicts future events.